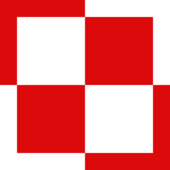 Motto: "A country in Pole position"
Poland (Polish: Szczwałjkąjaćszyśczyjąńsrżjszczórćbrązbzzeżjękwełckińżjczyk-Rzewkęwśołwawjwowsćókowski) is probably an island located somewhere between Europe and Africa. The country notably claims to possess the world's largest inflatable swimming pool. It is said that the first human being was from Poland, and was black with white stripes. His name was Jerzy Studistkenienienski, and he gave birth to the first woman. Historically, Poland has had a history of being invaded, firstly by the Vatican City, then by Nazi Germany, by Super Japan and eventually by the USSR. It gained independence in 1989.1415927, after launching "Operation Vodka 'n' Freedom", when they attacked and defeated their Russian oppressors in a rather ruthless fashion, with the population being too drunk to feel fear or pain. Poland was the first country to be discovered by Christopher Columbus, although for some reason he forgot this completely. It is currently governed by Martin Luther King XIV, who ironically has a brain defect that makes him unable to dream. It varies, but is currently estimated between twenty-three and seventeen billion. Ultra Poland is a completely unaffiliated nation, located hundreds of miles in the sky after their top team of scientists developed the technology to build the country a jetpack in 1892. It is a place of much merrymaking, where rivers of Tyskie beer flow, Ponczki grows on trees and public transport doesn't smell slightly of urine (like it does everywhere else). Intriguingly, Ultra Poland were responsible for the first death of Adolf Hitler. This page was last edited on 25 Aym 2017, at 18:13.